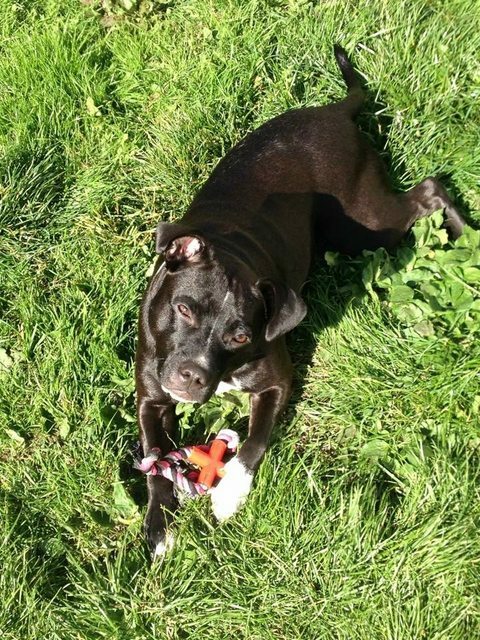 Poppy is a 4-5 year old female Staffordshire Bull Terrier. Poppy arrived at the dog pound with her mum belle, sadly their owner was sent to prison leaving them alone with no one to care for them. They were then left to serve 7 days before facing being put to sleep. We were lucky to find a lovely foster home in Blackpool who was willing to take belle and Poppy and work with them. 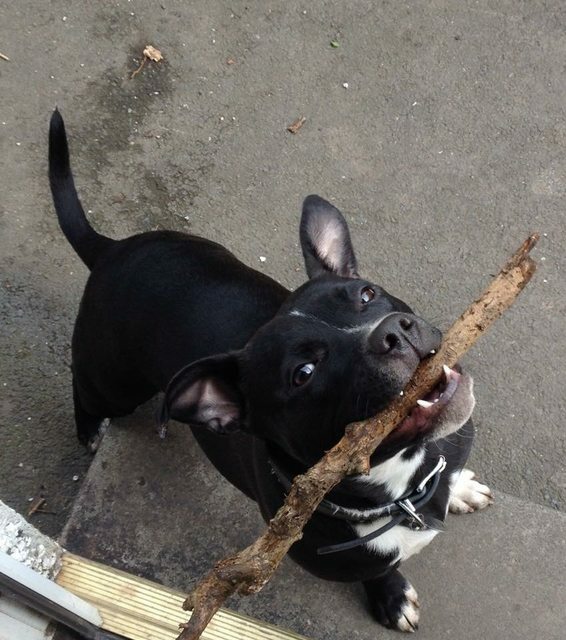 Poppy is around a year and a half and is a typical Staffordshire Bull Terrier full of energy and love. 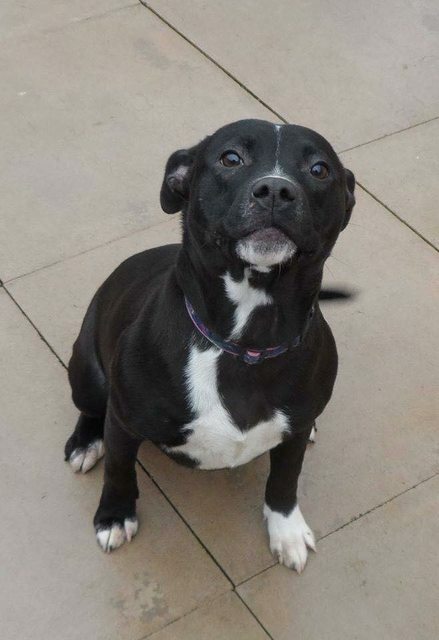 She currently lives with her mum Belle and a older male Staffordshire Bull Terrier. We have decided she may be best suited in a home by herself or possibly a calm sociable male. Poppy has so much potential and would need someone who can continue the hard work her foster mum has put in. She likes her walks and loves playing in the garden. She also loves to play with sticks..
Poppy is vaccinated, spayed and micro chipped and fully up to date with flee and wormer. She would benefit a home with no kids under 9 years old due to her still being excite able. A active home with knowledge of the breed who would continue socialising and training her is must. Poppy loves cuddles and just wants to love and be loved can you offer Poppy the perfect home? Currently in foster in Blackpool. A meet and greet is a must Poppy will make a great addition to the right home.